Product prices and availability are accurate as of 2019-04-21 15:06:45 UTC and are subject to change. Any price and availability information displayed on http://www.amazon.com/ at the time of purchase will apply to the purchase of this product. 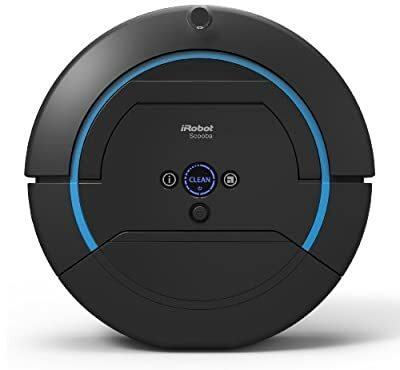 At this time you are looking at iRobot Scooba 450 Floor Scrubbing Robot which is one of our many available items from the manufacturer Irobot. Pick this merchandise now or search through our site for other similar options. Scooba 450 is the perfect choice for brilliantly clean hard floors every day, the easy way. Scooba automatically sweeps & pre-soaks, scrubs, then squeegees your floors, cleaning stuck-on messes and washing away up to 99.3% of bacteria. 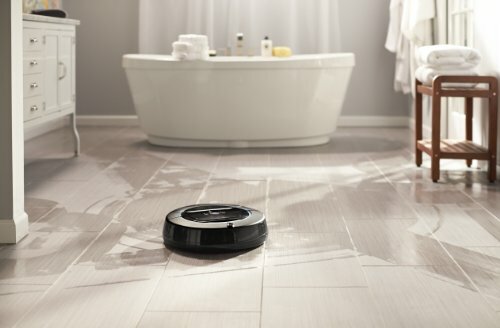 The revolutionary new Scooba Three-Cycle Cleaning Process with pre-soak technology has been redesigned from the ground up to clean hard floors three times better than ever before with even less work for you. Just fill the robot and press 'Clean'; the proof is in the tank. 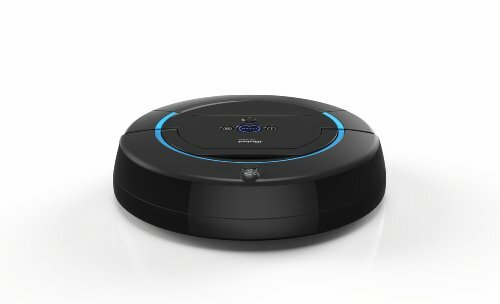 Featuring iAdapt Responsive Navigation Technology, Scooba effortlessly navigates around your home, avoiding rugs, stairs and obstacles and covering the floor multiple times for maximum cleaning performance. 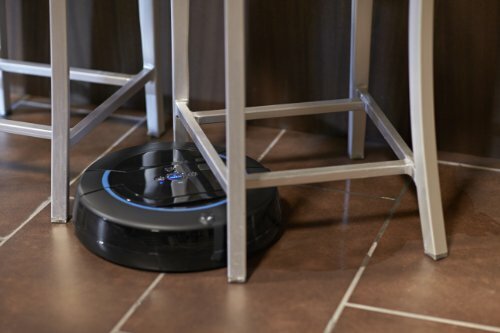 Unlike a mop, Scooba uses fresh solution from start to finish, never putting dirty water back down on your floors. 450's scrubbing brush spins at over 600 rpm to tackle grime and stuck-on messes. 3-cycle cleaning process pre-soaks, scrubs and squeegee finishes to remove up to 99.3% of common household bacteria Dual-compartment tank keeps clean and dirty water separated, keeping dirty water off your floors Choose from a 40-minute cycle, or a 20-minute cycle for smaller spaces Tank is easy to fill and drain, Avoids stairs and other drop-offs. What's In The Box: iRobot Scooba 450,Rechargeable Battery,Battery Charger,Virtual Wall,4-Ounce Bottle Of iRobot Hard Floor Cleaner,Year Manufacturer's Limited Warranty On Robot, 6-Month Manufacturer's Limited Warranty On Battery Kindly refer the video and the user manual given below for troubleshooting steps also keep your device updated to the latest software update for better performance.